It’s hard to say what I remember the most from growing up skiing in Washington. Whether it was those blustery, wet days when the snow was barely hanging on, creating a diluted mixture of rain and sleet; or the days when it seemed like every run meant digging yourself out of feet of powder–because you still didn’t understand that speed and incline kept one from bogging in deep snow. Skiing Washington made you hardy. Because sometimes, it took serious effort. Between shuttling up the hill after school to night ski at Stevens and Snoqualmie Pass –to the long night drives sleeping in the backseat while Dad drove sis and I home. 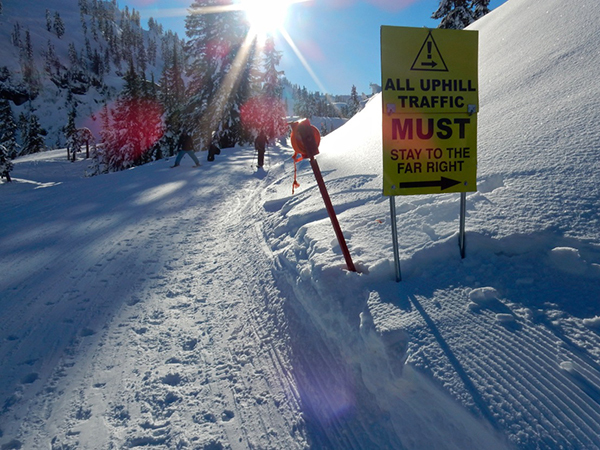 But damn if there isn’t still an instilled sense of resilience in all us Washington skiers and riders. The elevation at most of the resorts in the Cascades is between 2000-7,000 feet, which isn’t far enough above sea level to shield them from experiencing serious warming trends during certain times each winter. It was often a gamble on whether we’d be riding Cascade concrete, or flat out rain on slush. Still, it’s all a part of the Washington charm, because when it’s good—dude, it’s really good and while resorts all over North America and Europe play to the tune of growth, raising ticket prices via corporate ownership, resorts in Washington have maintained an air of suave appeal, affordability, and local flare. I recently had the chance to visit my old stomping grounds and re-discovered the joys of skiing Washington in the midst of a storm cycle—and I caught a couple rare bluebird days. Although the après scene doesn’t match resort towns, the terrain makes up for it. Here are some of the highlights: good times, for sure. Crystal Mountain lies in the shadows of Mt. Rainier and is the biggest resort in the state, boasting 2,600 acres of terrain. The addition of high speed lifts, and in 2011, the Mt. Rainier Gondola, led to mind-blowing views of the historic peak as well as quick access to the west face of the mountain. The area packs a punch with steep chutes, luscious cliffs drops, and plenty of tree skiing. On powder days when ski patrol drops the lines be ready for deep pow on Northway or Campbell basin. If you are ever lucky enough to be around for the opening of the side country off Silver King Peak, you’ll be riding a perma-grin for at least a week after. Never a bad thing for the après scene you may be able to get into at The Snorting Elk Cellar. Baker is famous for its banked slalom, its road gap, and for the 98-99 season when it registered a world-record of 1,140 inches of snow (95 feet!). Yet while Baker is known for its boatloads of powder, it also known for its gnarly big mountain lines, jibby natural features, laidback vibe, and sizable cliff-drops. Bring your avy gear because when the adventurous inbounds terrain gets skied out there is plenty of that classic side-country snow to dig into, however nothing comes easy so expect to do some hiking, especially if you get some local insight to ride places like the Shukshan Arm…..don’t worry its well worth the effort! And it’ll make the beer taste that much better at North Fork Brewery. Of all the resorts in Washington, Alpental has done one of the best jobs maintaining that homey feel, and while it may get overlooked for being a smaller resort, it has some of the best and most challenging terrain on Snoqualmie Pass. It’s a close drive from Seattle and lift lines are pretty uncommon throughout the week, meaning free refills on powder days. Steep tree runs and lively cliff bands fill in the area and when riders start launching off the crags one has to wonder who called in sick to work that day. 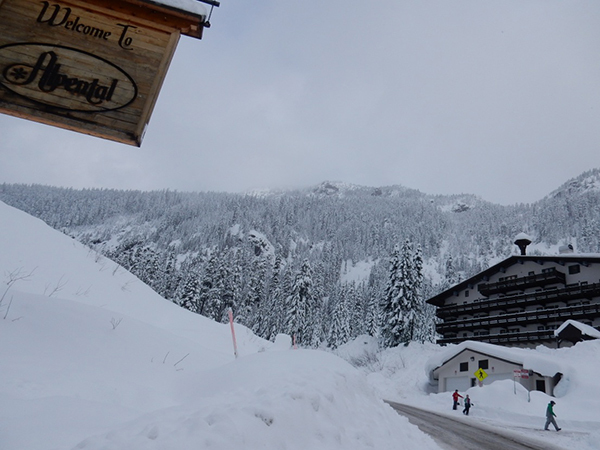 Alpental is a Washington classic that has a magical feel, especially if you catch a buzz at the Backcountry Bar. Sitting a top of Highway 2, Stevens Pass provides so much varied terrain it is easy to see why it is an adrenaline junkies paradise. Packed with tons of tree skiing, a creatively designed park, night skiing, and all the natural features imaginable, Stevens Pass does a decent job incorporating it all. The highly rated 7th Heaven lift looks down over the resort and provides the entry point to all of the extreme territory and side country that the resort has to offer. This resort also rests in the middle of the convergence zone meaning lots of precipitation and active weather i.e. lots of snow! When the snow is fun and deep it means skiing all day and all night, literally. Just be wary of unstable snow and know the conditions (as you should with all side-country riding). Nearby Cowboy Mountain was the site of the infamous Tunnel Creek Avalanche. The resort’s inbounds terrain is some of the best in this great state and will still inspire you to celebrate at the Foggy Goggle afterwards. Washington is so worth it.